Dunno if I mentioned it before, but I exhibited some photos in the W3 Gallery's Acton Heritage exhibition earlier this month. If you were unlucky enough to miss it, your luck's finally turned around! My photos of local urban landscapes are now on display on this very website, along with some clips of the documentary that was screened at the gallery. I had quite a big hairy hand in that too. 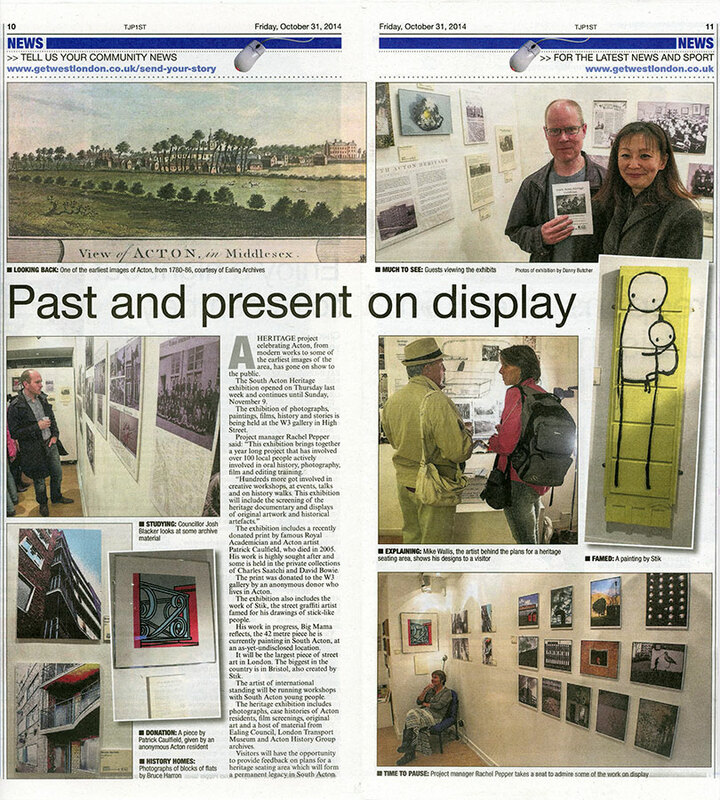 Above is a spread from the Ealing Gazette about the exhibition. Guess who took all the photos in that as well? I'll give you a clue. It was me!